No Exit will be welcoming spring with a series of concerts guaranteed to captivate, delight and inspire. 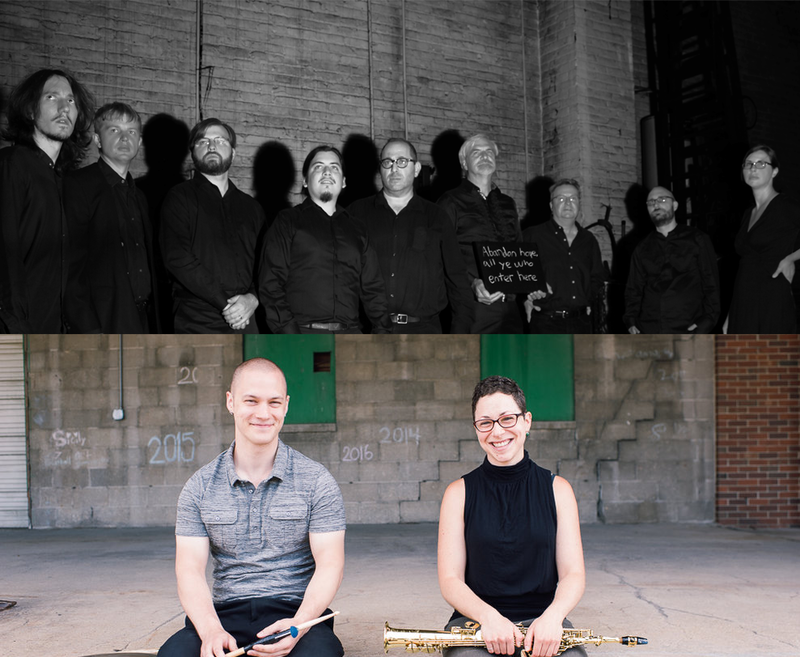 The ensemble will be joined by special guests – the pioneering saxophone and drum set duo – Patchwork (Noa Even and Stephen Klunk). For this program, No Exit is thrilled to be reviving one of the first pieces that the group commissioned, Derrik Balogh’s gorgeous and immersive string trio, “Fantasie: si tu veux”. Also featured will be two pieces by clarinetist/ composer Evan Ziporyn, “Tsmindao Ghmerto”, an otherworldly work which calls on the musician to play clarinet while simultaneously singing and “Four Impersonations“, which incorporates elements of Balinese, Japanese and East African music to sublime effect. Victoria Cheah’s “We waited for each other on aim” creates a curious and compelling soundscape for the listener to inhabit. No Exit’s partners in crime, Patchwork, will be performing the world premiere of a piece that they commissioned from Israeli-born composer Osnat Netzer. In creating “Zwang und Zweifel” , Osnat delves into a visceral internal world of conflict and chaos. No Exit will also be presenting a brand-new world premiere work, “Ved sjøen” (By the Sea), an evocative rumination inspired by the time that American composer Christopher Stark recently spent living in Norway.